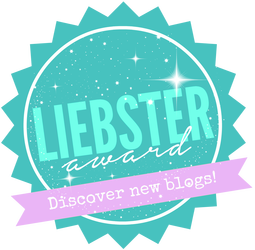 I was nominated for the Liebster Award by Ola from OlaReadsBooks – thank you so much for the nomination! I’ve been nominated before (you can check out my answers and discover more awesome blogs here and here) but I liked Ola’s questions a lot and I like shining a light on some great blogs, so without further ado, on to the award! What is the last sentence from the book you’re currently reading that you read? From United as One by Pittacus Lore. Even though this book is super fast-paced and full of action, I’m trying to read it slowly because I don’t want this series to end. What is the funniest book you’ve ever read? The first that comes to mind is The Martian by Andy Weir. It is definitely laugh out loud funny, mainly because the protagonists voice is so vivid and his personality shines through. What is your book buying habits? Do you research a book before buying or just buy it on a whim? The only research I do when it comes to buying books is reading the blurb. I might be more aware of a book before buying it because I’ve seen it’s popular in the book blogosphere but I never look at its Goodreads rating or read any reviews before buying a book. What is the book you reread the most times? Probably either Sabriel by Garth Nix (because I tend to reread the series every few years) or Harry Potter and the Prisoner of Azkaban by J.K. Rowling. Again I reread the Harry Potter series every couple of years but I sometimes just reread the Prisoner of Azkaban because it’s my favourite in the series. Is there a book you loved when you first read it, but now you think is horrible? What is this book? I don’t think I have any books like that… at least nothing that I can think of off the top of my head. What is the best closing line from a book you read? I’m really bad at taking note of good quotes but Asking For It by Louise O’Neill had such a good closing line(s). “It’s important that I look normal now. It’s important that I look like a good girl.” It’s like a punch to your gut in the context of the story and I can’t recommend Asking For It enough. Do you research authors of books you read? Not really no. I get that nowadays with social media there can be more of a dialogue between readers and authors but that’s something that has never really interested me. I like to keep the work separate from the author because I’d hate to find a book or series I really love and then read about the author and discover they’re a big racist or something like that. Do you belong to any book club? If yes, what kind of book club it is? No I don’t! I kind of wish I did though! One of the things I miss about Uni is discussing books in my English classes and reading books I’d never normally pick up. What is the book that you regret spending time reading? 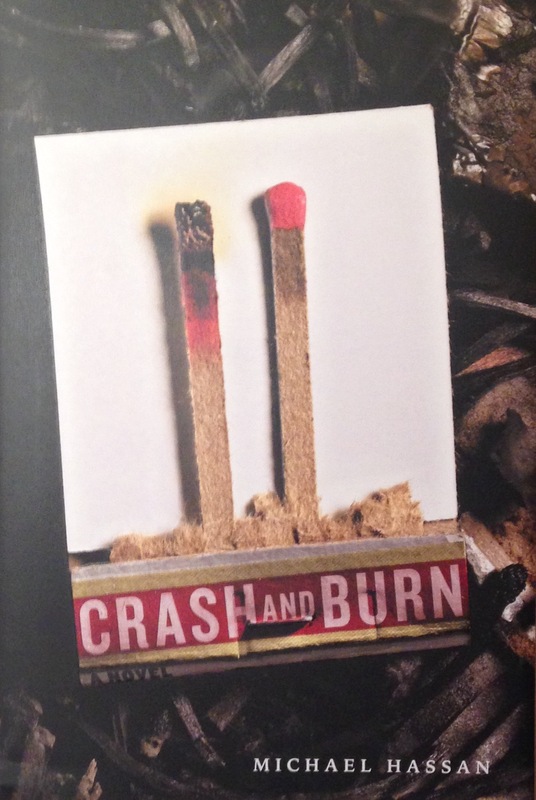 Crash and Burn by Michael Hassan. I didn’t like that book at all and by the time I decided I didn’t like it I was half way through so then thought I should probably finish it. I really don’t like DNF-ing books but that’s one I really should’ve and saved me the struggle. Oh wow! Erm… I’m not sure. I know I currently have 80 unread books either physically on my shelves or on my kindle so adding what I have read I’d say I own close to 200 books. Have you ever read a book that is set in a place where you live/lived? I’ve never read a book set in my hometown, because it’s a small village, but I’ve read a few books set in Brighton which is about a 45-minute drive from mine. I go there pretty regularly since a few of my friends live there. Beautiful Broken Things by Sara Barnard was set in Brighton as were the Georgia Nicholson books by Louise Rennison. – What’s the last film you saw at the cinema? – What type of books do you read the most of? Paperbacks, hardbacks, ebooks or audio books? – When blogging, do you write and schedule your posts days or weeks in advance or do you tend to write and post on the same day? – What does reading diversely mean to you? – Is there a fictional character who you see a lot of your own personality traits in or reminds you of yourself – whether that’s a good or bad thing? – How do you organise your books? Are they alphabetical by authors name, by genre etc? Do you have a dedicated TBR shelf? – Besides Goodreads (if you use Goodreads) do you have any other ways to keep track of your reading eg spreadsheets? – Do you DNF books? If so, how and when do you make that decision to stop reading? – Who’s your favourite superhero? – How do you decide what you read next? Do you make monthly TBR’s or are you more of a mood reader? Do let me know if you participate in the award, I love seeing peoples’ answers! Yes, The Martian is laugh out loud book, I loved it 🙂 I bought Asking for it a long long time ago, haven’t read it yet, but lately I’ve been seeing it a lot on blogs and Twitter. Not sure what happened there… it’s been published some time ago. Oh well, I think I need to read it soon after hearing so many good things about it. Yes, definitely read Asking For It. It’s equal parts, heart-breaking, frustrating, uncomfortable but so good! I want to try Louise O’Neill’s other book, Only Ever Yours because that’s supposed to be a bit Handmaid’s Tale-esque which should be interesting.